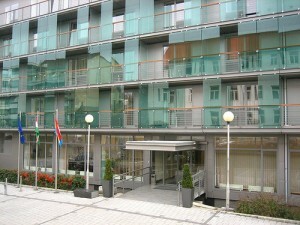 During the week 13-18 February 2011 a key event of Europe-Eurasia cooperation will take place. The Council of Europe has granted financial support and the usage of the European Youth Centre in Budapest for a Study Session on communications, advocacy and external funding. Participants are coming from NSOs both in Eurasia and from Europe. The course is prepared and run in cooperation by the two Regions. The course director is Johan Ekman, and the staff support is provided by Nicolo Pranzini from European office in Brussels, and Kateryna Loginnova from the Eurasia office in Kiev. You can expect more updates on the study session and from the participants in the course of the week, directly from Budapest.